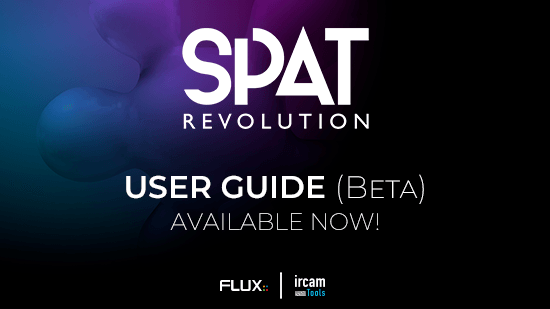 Today we are pleased to release the Spat Revolution user guide (beta). The user guide is written for practitioners already working in immersive sound production yet new to the Spat Revolution software environment. Is also intended to be read as a practical introduction to surround and immersive audio production for those who are new to the medium and coming to it through Spat Revolution.